'Raga Jazz Style' isn't a soundtrack. However it's a Shankar Jaikishan album, featuring a host of top jazz musicians with long track records in Bollywood; Manohari Singh, Leslie Godinho, Sebastian D'Souza and Lucilla Pacheco to name a few. My knowledge of Indian Jazz is sadly lacking, therefore I'm unable to comment on it in that context. But I have to say I think this is a pretty darn wonderful LP. I'd be interested to hear the views of any aficionados out there. I will undoubtedly be investigating further, as increasingly I've been wanting to find out more about the actual musicians, jazz and otherwise, working in Bollywood. Ideally I'd have done so before posting this, but as it's been such a long time since the last one I thought I'd leave this gem as is. indian classical music being monophonic and to interpret into polyphonic is a great achievement..
welcome back PC sir, great album though unlike to OST but a gift for Shankar Jaikishan fans. Well this not really Indian Jazz. 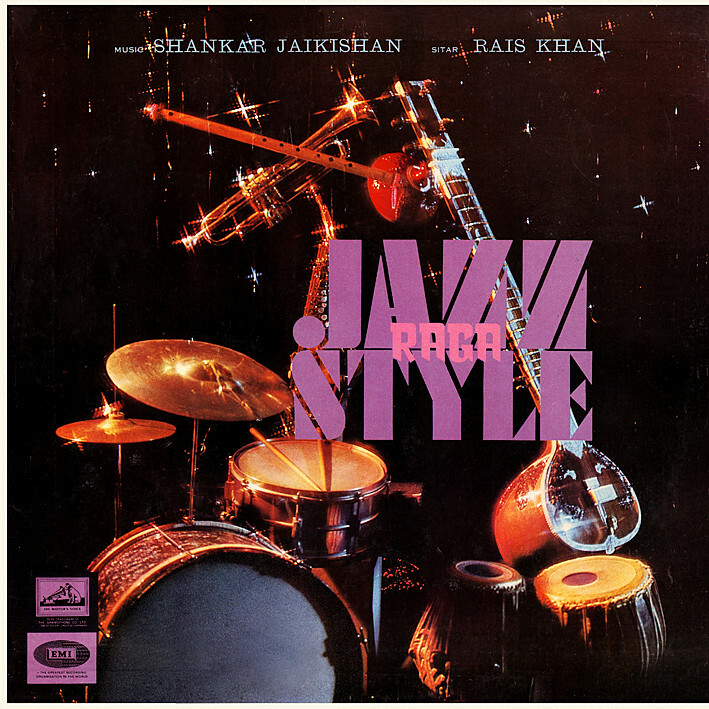 Indian Jazz is just a copy of western style. This might be called Fusion. While Bollywood is indianized version of western music intermixed with ragas and indian instruments. Thanks PC. Been enjoying it the last couple of days. One of your best uploads. Thanks for this special album of SJ. Expecting a RD number as the next upload.